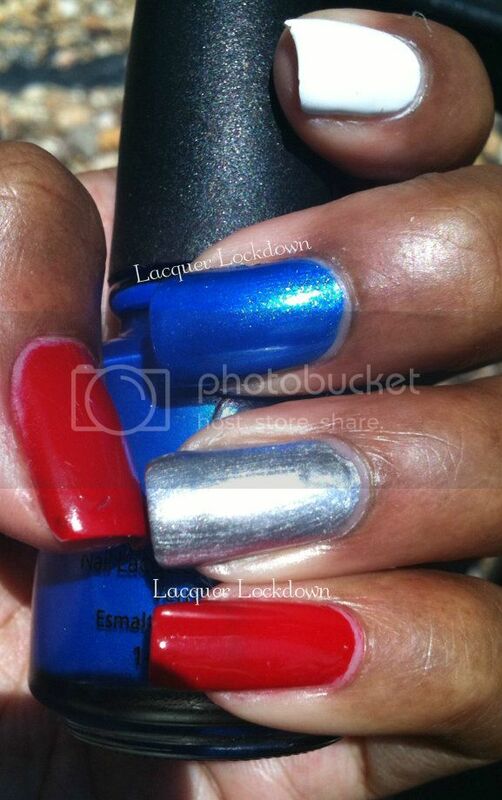 I've got another little 4th of July mani here for you. Let me preface by saying this was supposed to go up yesterday, but all of my shots were so bad when I set down to edit I had to retake them this morning just to get a few decent ones. Alas! Anyway, this was my first attempt at a splatter mani and to be honest I sort of like the idea of chaos in motion as it applies to this particular holiday. While I complained before I will admit the firework displays in DC are marvelous! We go all out here, and no matter how old or jaded I become even I can still get lost in the magic of that particular experience. So I thought splattering the colors could also be pretty cool mimic for all that energy and motion. Wild right? I wish I was able to get a clearer shot here but I love the effect nevertheless. I will always have a special place in my heart for cG Millenium. Ugh the stamping stuff of legends and an amazing chrome. If I could ever get my hands on Maybelline Mirror Magic I'd be in chrome heaven! 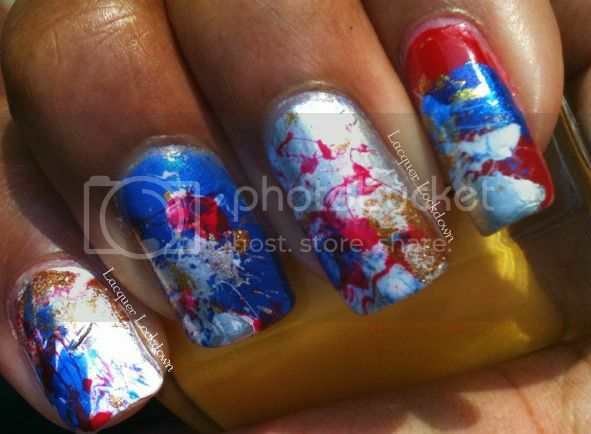 Pollock anyone? 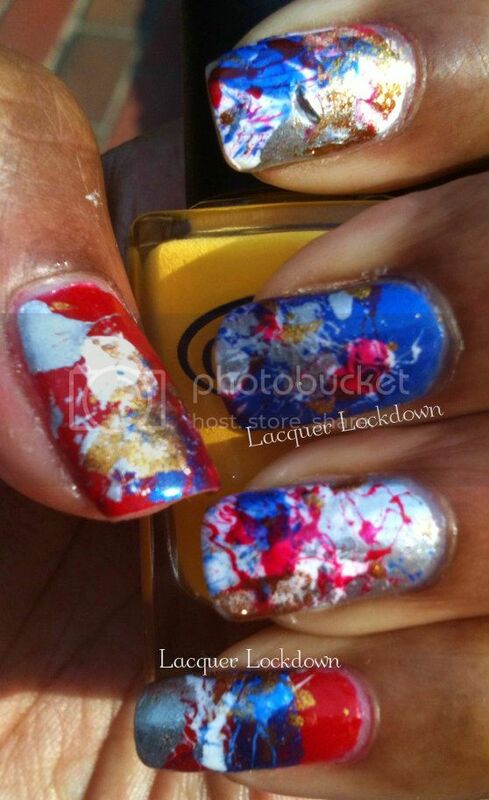 Actually I have a pair of Loubies that would put this manicure to shame with it's splattering. I may have to try and recreate that design on day soon! So what do you ladies think? I thought this was a bit interesting and fun so I'd like to try splattering again in a less obvious manner in the future. Happy forth ladies or happy hump day for my non-American counterparts. Thanks for reading and I'll see you next time!